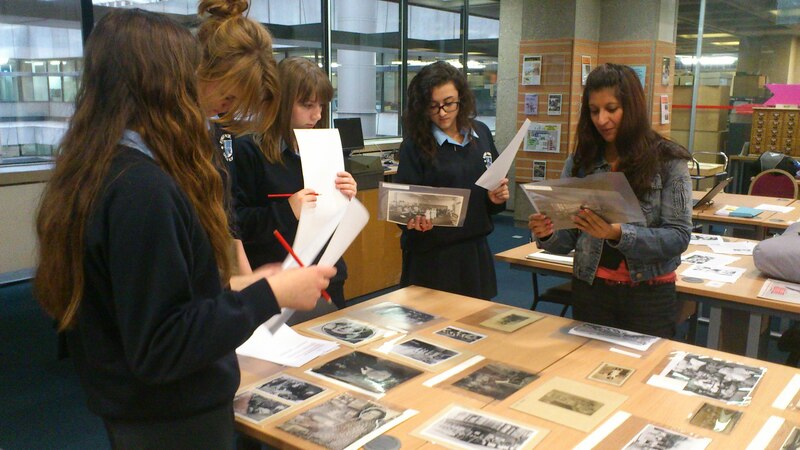 During November, Kings Norton Girls’ School visited Birmingham Archives for the second time. In the image shown above, Don Hazzard talks to the girls regarding how most soldiers after the First World War rapidly changed their opinion on whether women should be given the right to vote or not. 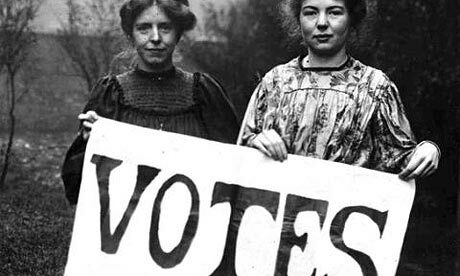 The main reason men changed their minds about letting women vote was because there were lots of female nurses at the front line in the War who died alongside the soldiers; so men thought that if women were that responsible then they should be rewarded the privilege to vote. 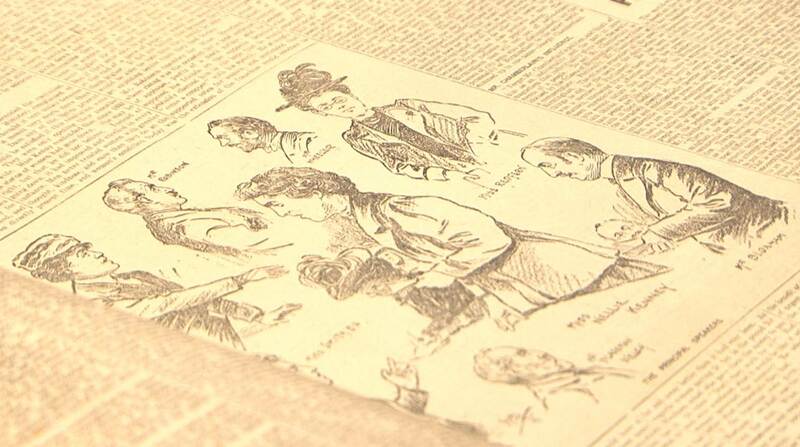 Dwelling on this subject, Mr Hazzard informed the girls of the tragic stories some of these females went through in order to politely and respectfully achieve this right – these well-mannered ladies were known as suffragists. Furthermore, the fact that women were able to take on the everyday roles of hard-working men drastically projected the women’s responsibility and trust to accomplish tasks appropriately and effectively to those men especially in high status. Overall, we enjoyed listening to these true life tales Don informed us of as well as the actual reasoning of how women overpowered men’s traditional thinking of a woman, who was completely single-minded, too emotional and non-worthy of such a privilege. To conclude, still today women need to gain that equality in some areas of the world for several reasons. Looking at these old strategies and methods may help us dearly in the near or far future.